Struggling to achieve that ‘smooth Kylie Jenner’ lip look when applying your favourite matte liquid lipstick? Have you tried all of the tricks, including scrubbing with a tooth brush and reapplying lip balm religiously, without achieving the desired results? Fear not. As you all know, I love to purchase skincare products from Lush, so when I went to restock my go-to cleanser (Ultrabland) and spotted this lip scrub on the stand, I had to give it a try. I rummaged through the scrubs (Bubblegum, The Kiss, Mint Julips, Popcorn and Honey) and gave them all a sniff – fast realising that the Lush Bubblegum Scrub was the best choice, as a number of the other scents were a little overpowering for my pre-makeup routine. The sweet smell of Bubblegum is unmistakable, as is the matching flavour – but try not to consume too much as you scrub, as there is plenty of sugar included within this product to create the exfoliating texture! And whilst we’re discussing texture, it’s important to note that the rough formulation easily removes excess skin from the lips, leaving them silky-smooth and ready for an application of lipstick, without being too abrasive and leaving the lips in a ‘raw’ state. Overall, it gets a huge thumbs up from me. Since purchasing it about two months ago, I’ve used this product everyday, and with plenty of scrub remaining, I’m sure it will last for the months to follow! Have you fallen in love with a lip scrub? Please share your favourite products in the comment space below so I can put them to the test! I love lush lip scrubs, , really great and effective. I have the mint one and love it! I love Lush lips scrubs! Santa Baby is my favorite and I hate that it’s seasonal. 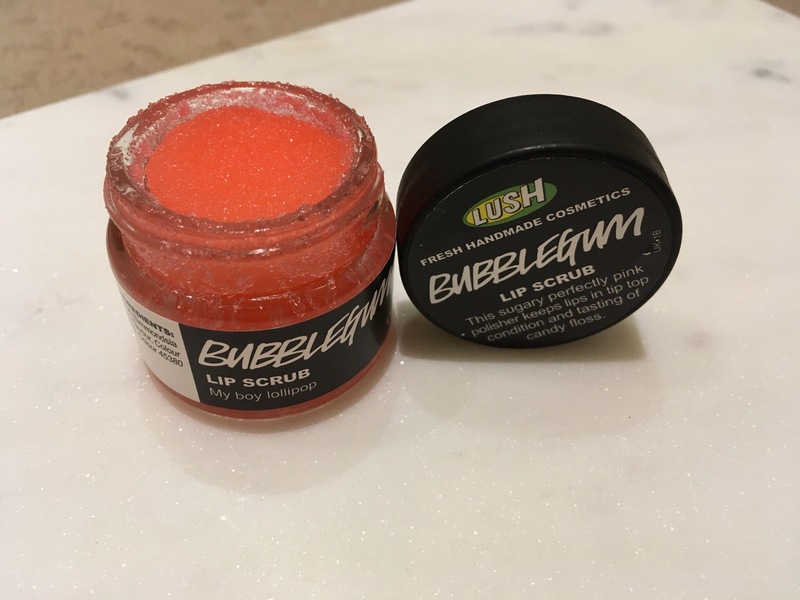 I’ve never tried a lip scrub before – love the sound of the Lush one! I’ll need to check it out next time I am in the shops. Have you tried the MAC lips scrubs yet? They have a new range which will be launching soon called ‘Scrubtious’. I tried this ages ago but wasn’t sure on the taste of it, I think I’ll pick up the honey flavoured one next time I go! ← Is the Anastasia Beverly Hills Modern Renaissance Palette worth the hype?